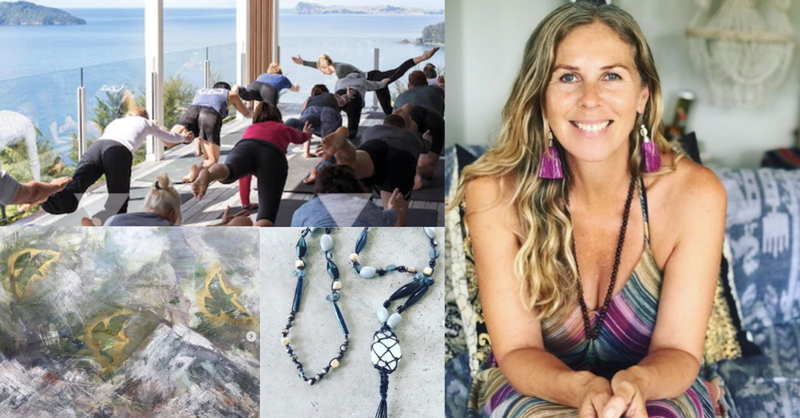 Like many of the interesting people we talk to at Coromandel Goodness, Dhyana has many strings to her bow, she teaches yoga, is a talented painter, makes jewellery, runs wellness retreats, and is also a photographer and writer. Dhyana says she has always been creative from designing children’s clothing to selling in markets and owning her own clothing store in Ponsonby. Her flair for photography came to light photographing children in the clothes she produced, that led on to further honing her skills producing actor and model portfolios. She then combined nature photography with other images and patterns, leading to a series of gift cards she sold throughout stores nationwide. 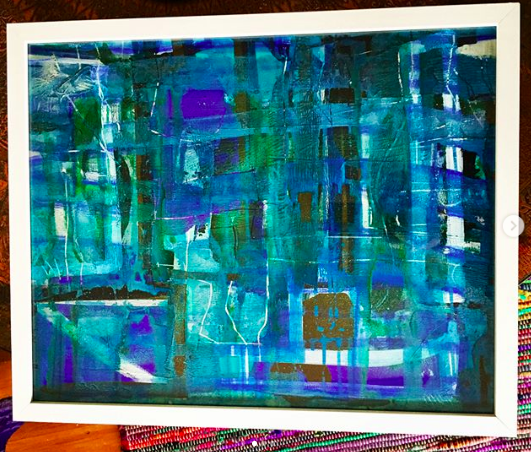 When she moved to Tairua she took stock of all her loves and created “The Pacific Princess Collection” which was printed on to fabric and exhibited in Whitianga and the local gallery in Tairua. This running theme of inspiring and uplifting people led Dhyana into co creating the book “The Dreamcatcher” with Tairua artist and “soul sister” Reina Cottier. Dhyana wrote the book which is all about uplifting children and encouraging them to follow their intuition and dreams. 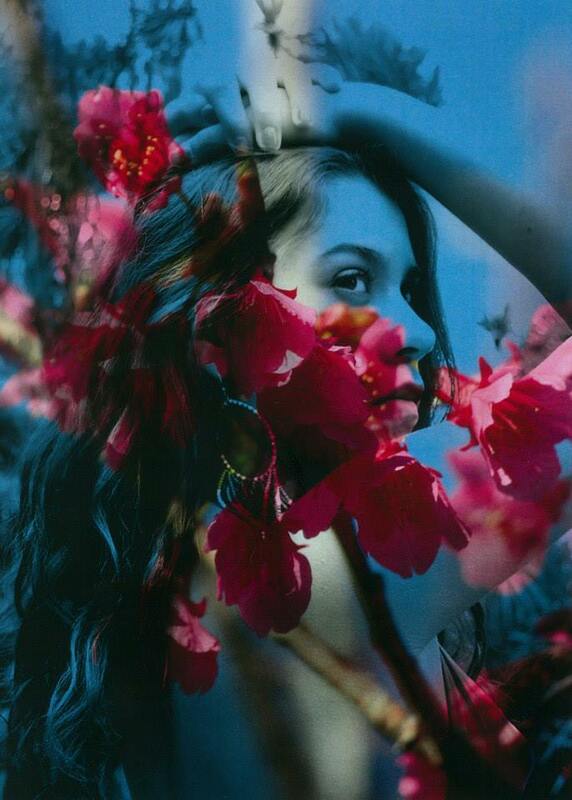 Dhyana’s words are illustrated with Reina’s pacific style art and also Dhyana’s unique style of mixed media photography. That led to another book “You are made from stars” which explores sisterhood and the power of the human spirit. 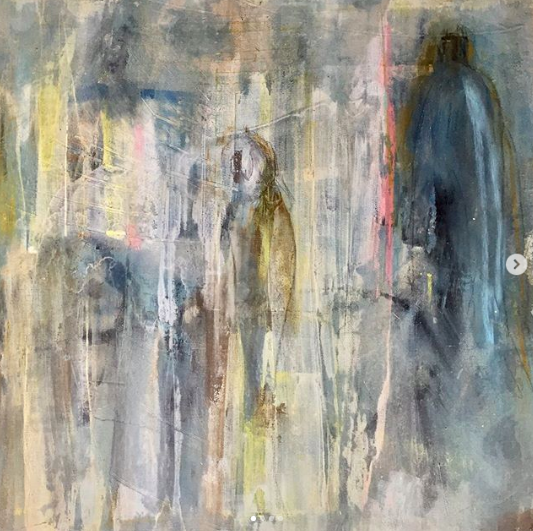 While Dhyana’s mixed media style of photography became very popular in local galleries, well respected local artist, Paul McNeil, kept saying “When are you going to put down the camera and pick up the paintbrush. 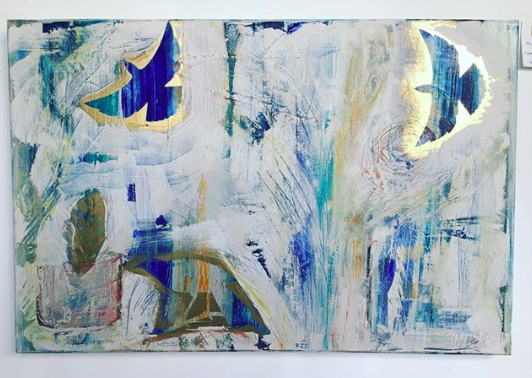 Just get out there and paint!” Dhyana did just that and in her first week painting, says she “let is all out” and produced 37 paintings over two weeks, all of which she eventually sold. 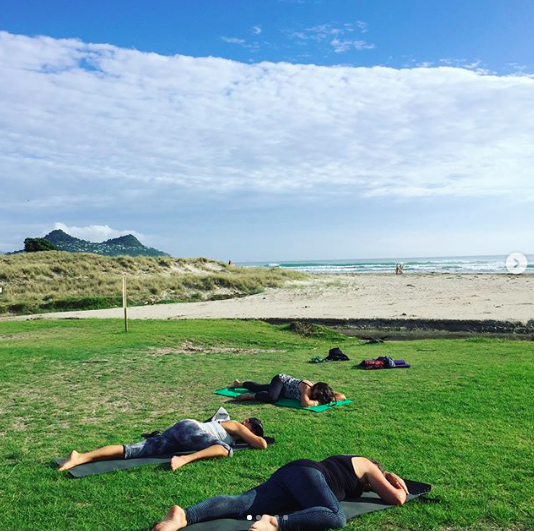 In the meantime you will find Dhyana teaching yoga on the beach at Tairua and Pauanui every weekend over summer, and every day from 27 Dec to 6 Jan on Tairua beach. She can also be contacted for private tuition. After all this talk about how good yoga is for you and where it can lead to, I decided to join Dhyana for one of her classes. It was my first ever experience on a yoga mat. While Dhyana’s classes are predominantly frequented by females she does have more males attending, and says several years ago she regularly took “Broga” classes for a group of Tairua blokes. Our class was small, just like Dhyana had talked about, I joined in with two others, and we set up in a clearing overlooking Tairua beach. What an awesome setting, the waves were lapping on the beach, the tui’s were singing behind us in the native trees and the summer sun was beaming down on us. After an hour I felt completely relaxed with loads of energy to tackle the rest of my sunny Sunday on the Coromandel. I felt like I had a positive outlook that flowed on to how I dealt with others through the day - the ripple effect Dhyana had talked about in action. I will be back - Dhyana’s yoga classes are Coromandel Goodness for sure! 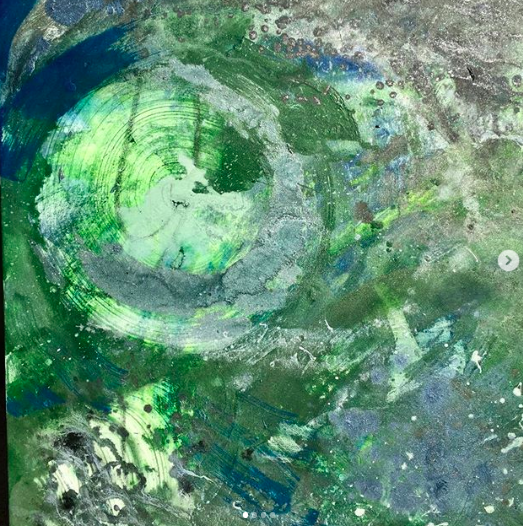 Dhyana’s jewellery and painting can be found at the Little Gallery of Fine Arts in Tairua and Whangamata, and Create in Matakana.